You should never be afraid to call the police if you are being abused physically. They could be the one thing that keeps you alive during or after an attack. Many, many women are afraid to call the police because of repercussions after-wards from their abuser. Men rarely call the police because they may feel embarrassed that their female partner is hurting them. The police are there for you; to protect you, your children, and your home. This is a look at what generally happens when the police are called. This may vary case by case. When you call the police to report violence in the home, they have to come to investigate. Normally several officers will show up. Do not be afraid of them, remember they are there to help you both. An officer or two should take you aside, out of ear and eye shot of your abuser so you can tell them your side of the story. Another officer or two will try to talk to your abuser. Do not be shocked if your abuser is put in handcuffs and escorted to a cruiser to calm down. If your abuser is cuffed, do not interfere with the police taking him/her to the car. It could make things worse and possibly lead to your arrest as well. Another officer while you are being interviewed will assess the immediate area where the abuse took place. They will look for evidence of harm to you and any children and pets involved. This could be cuts, bruises, torn clothing, etc. An officer will make note of damage in the home to furniture, walls, windows, broken personal items, etc. 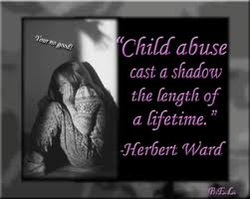 If your abuser doesn’t reside with you, signs of a break in will be looked for. Also, inform the officers if there has been threatening messages on an answering machine or voice-mail. Just because there is an investigation doesn't mean there will be an arrest. The officers have to find probably cause to make an arrest. The statement you make to the police is very important. If there are neighbors or other family members that can give statements of what they saw or heard, try to get them to provide statements for you. When it comes to a domestic violence incident, many people would rather be left out of it, but their voice can mean life or death for you. Make sure you get a copy of all paperwork in the case whether there is an arrest or not. This can be future evidence for you in case it happens again (9 times out of 10 it WILL happen again).